Although you’ll find Panerai watches not highly priced as most luxury watches like Rolex, the brand is highly rated amongst the most celebrated watches. Historically, the Company, officially known as Officine Panerai, started as a watchmaking workshop in 1860. Despite it being amongst the oldest watchmakers, the Italian manufacturer introduced its first prototype wristwatch – Panerai Radiomir, in 1936 then begun the actual production in 1938. With its biggest platform being in the cinema industry whereby it has been featured with numerous superstars, including Jason Statham, Sylvester Stallone, and Die HardBruce Willis. In fact, Bruce Willis was screened in 2018’s Death wish with a leathered strap Black dial Panerai Radiomir that he seems deeply attached to. As a brand that’s ultimately attached to innovation, the Company designs the watches as a blend of its traditional artistry and the modern technological advancements. Creating modish, fundamental, and unique aesthetic Panerai signature, particularly in the Panerai Luminor and Panerai Radiomir watch collection. 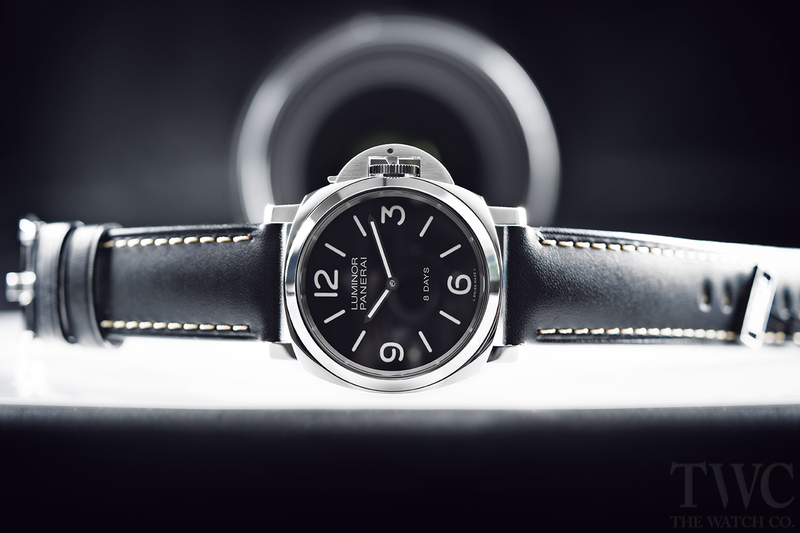 The brand introduced PAM00655 Panerai Radiomir 1940 3 DAYS watch during the 2016 SIHH Show. Classic. Unique. And excellently accurate. 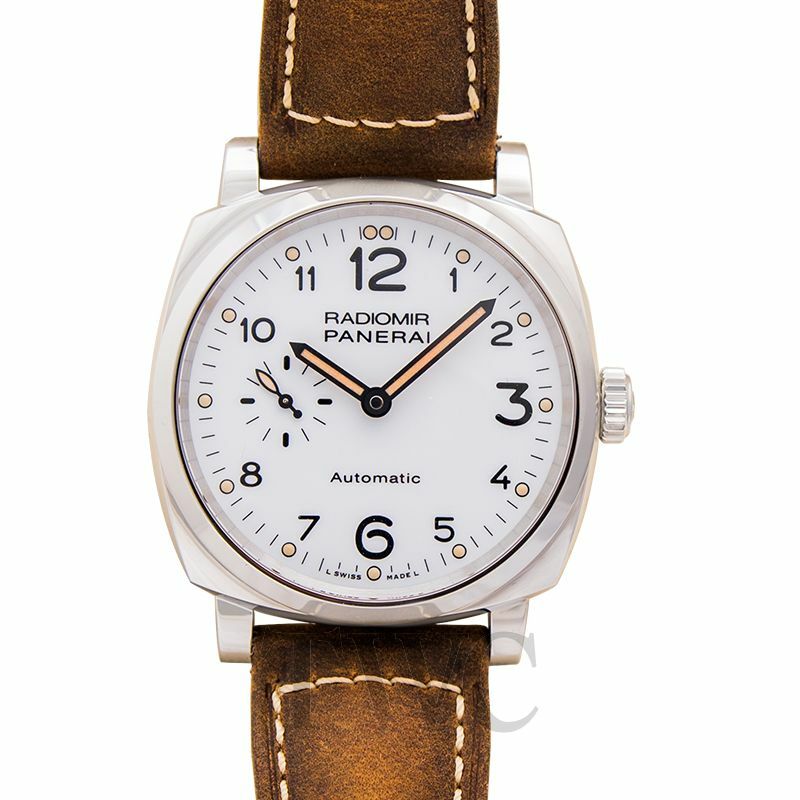 This watch is distinctive from the rest of the models in the Radiomir 1940 collection, due to its white dial which has Arabic numerals. Dissimilar to the Panerai Luminor collection where the crowns have a trademarked protective guard, PAM00655 Panerai Radiomir 1940 3 DAYS watch has an exposed crown. Though embellished with the brand’s “OP” logo. Apart from the shiny 42mm AISI 316L steel case, this watch has a sapphire crystal display and case back. Allowing the enthusiast wearing it to enjoy both the precision of time and the harmonisation of the equipped automatic movement. Using its 31-jewel Caliber: P.4000 self-winding movement, the watch is able to reserve power for up to 72 hours. Whilst providing hours, minutes, and even small seconds functionusing the sub-dial located at 9 o’clock. For the ease of wearing, PAM00655has a brown hypoallergenic strap which is fitted with a stainless steel pin buckle for a secured fit. The company introduced the first Luminor Sealand in 2009. The design of the watch has been inspired by the ancient Chinese Zodiac and it’s exceptionally created by masterly Italian engravers using the prehistoric “Sparsello” technique. During the SIHH 2019, the Company decided to have it differently as the Year of the Pig through its eleventh model of the Panerai watches. Behind the gold-etched AISI 316L steel cover there’s a grey dial which has Arabic numerals, linear hour indicators, and luminous dots. For exquisite precision, it has installed the PAM00859 Panerai Luminor Sealand with automatic 31-jewel P.9010 caliber which has been created entirely in-house in Neuchâtel. This has enabled the Panerai Luminor Sealand model to provide its wearer with multiple functions, including 28, 800 beats/hour, seconds counter from the sub-dial at 9 o’clock, accurate date at 3 o’clock, and up to 3 days power reserve. For the lovers of sophistication, PAM00700 Panerai Lab-Id Luminor 1950 Carbotech™ 3 Days watch is the signature you ought to add in your watch box. In the world of mechanical watches, the brand’s watches are not only iconic for their extraordinary luminescence. But for the visible intricate semi-skeletonized movement as well. Since the Company introduced the PAM00700 Panerai Lab-Id Luminor 1950 Carbotech™ 3 Days watch during SIHH 2017, the wristwatch has been a conspicuous mode for many. Due to its 49mm Carbotech case which is both interestingly light and highly resistant to corrosion. For the dial, the Luminor model has a deep black carbon nanotube, with a velvety finishing that absorbs all the light falling on it. For excellent readability in dark backgrounds, the timepiece has luminescent hour indicators and hands that are both ultimately bright and long-lasting. Though you will find the timepiece on a higher budget than most Panerai watches. PAM00700 Panerai Lab-Id Luminor 1950 Carbotech™ 3 Days watch operates with a 4-jewel caliber P.3001/C manually-wound movement, which has been developed entirely by the brand’s in-house team. With an hourly heartbeat of 21600, the limited edition of Luminor can reserve power for up to 3 days. While still providing power reserve indication, alongside the basic hours, minutes, and small seconds time function. In sharing its immense love of speed with the fans of the dancing speedo scales, the Company also has Panerai Radiomir Chronographs with a tachymeter scale. Even though the production of these watches has been discontinued and replaced with Luminor Chronographs. Despite the production halt, natheless, racing chronographs such as PAM00163 Panerai Radiomir models are still iconic amongst men for their classic sporty designs. After introducing the PAM00163 Panerai Radiomir Chronograph watch in 2003, the Switzerland-based Italian watchmaker was not able to carry on with its production. Rendering it a limited edition with only 230 pieces. That being said, however. Most of watch collectors who come across this Radiomir model always list it no less than $15, 000 due to its Valjoux 234 caliber. With the movement, the timepiece is able to multitask after manual winding and provide the wearer with 50-hour power reserve, speed calculation, time and date precision. For my love of the underwater world… well, there is the most important tool every serious diver always have around, and I couldn’t help leave this model out for the fans. As PAM00983 Panerai Submersible Chrono Guillaume Watch is not just a diving watch, but also an amazing timepiece whose design connects you with the blue-eyed whales. 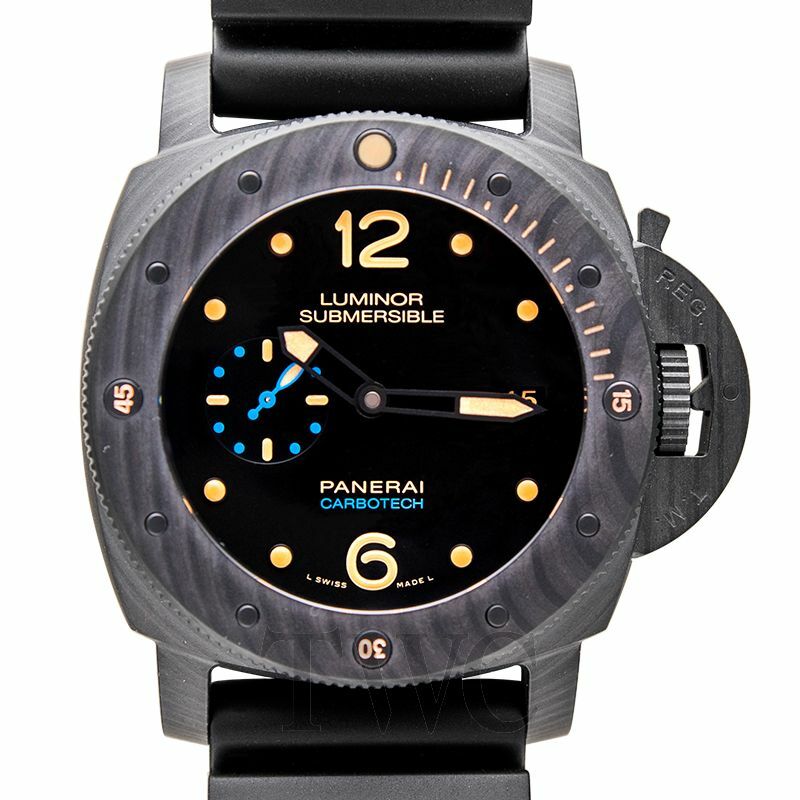 The Panerai submersible model features a black titanium DLC case that will remain hidden in the deep dark ocean depths. While the fitted blue dial continues glowing partly with the fitted luminous hands, hour indicators and dots. PAM00983 Panerai Submersible Chrono Guillaume Watch is exceptionally a diver watch, as with the unidirectional rotatable Titanium DLC bezel, divers can calculate the immersion times with ease. Since the expert shave set its calibrations with Super-LumiNova® coating which is functional at an underwater depth of up to 300 meters! Sporty. Reliable. And exquisitely accurate. This model runs with a self-winding 37-jewel caliber P. 9100 that can reserve power for up to 3 days, whilst offering 28, 800 alternations/ hour. As a chronograph watch, PAM00983 Panerai Submersible Chrono Guillaume Watch features the flyback function as well. Thus, the already running chronograph hands can be returned instantaneously to zero without having to stop them. When it comes to watchmaking, Panerai Company has been able to impeccably blend its Italian craftsmanship with Swiss technology. Leading to the creation of superlative Panerai watches that are naturally Italian but with running and high precision of the renowned Swiss.